Ballots are in the Mail! 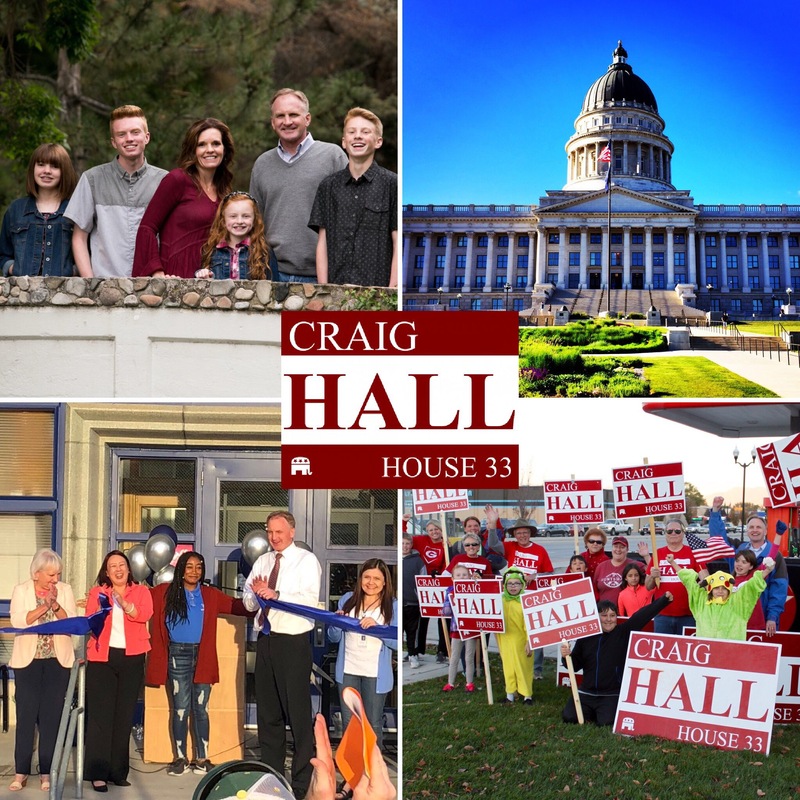 - Vote Craig Hall! Home > News > Ballots are in the Mail! - Vote Craig Hall! It's hard to believe, but we are just 27 days from Election Day. If it hasn't already, your ballot should be arriving in the mail shortly (more below). We have been reaching out to voters within District 33 for months through knocking on doors, being part of community events, meeting voters at events and on their front porch, putting up signs, etc., etc. It has truly been an honor representing the great folks of District 33. I feel good about what we have accomplished over the last few years and humbly ask for your vote to represent our community for another term at the State Capitol. This election will be conducted primarily through the mail. Accordingly, EVERY VOTER WILL RECEIVE THEIR BALLOT IN THE MAIL (whether you asked for it or not). This is what ballots look like. Don't throw it away. It is your official ballot. Option 1: Return by Mail. The easiest way to vote is to just return the ballot by mail (no postage necessary). If your ballot is returned in the mail, it needs to be postmarked by Nov. 5 (day before the Nov. 6 Election Day). Make sure to sign your ballot in the designated spot before returning it. Option 2: Drop off your ballot at a drop location before 8:00 p.m. on Election Day. 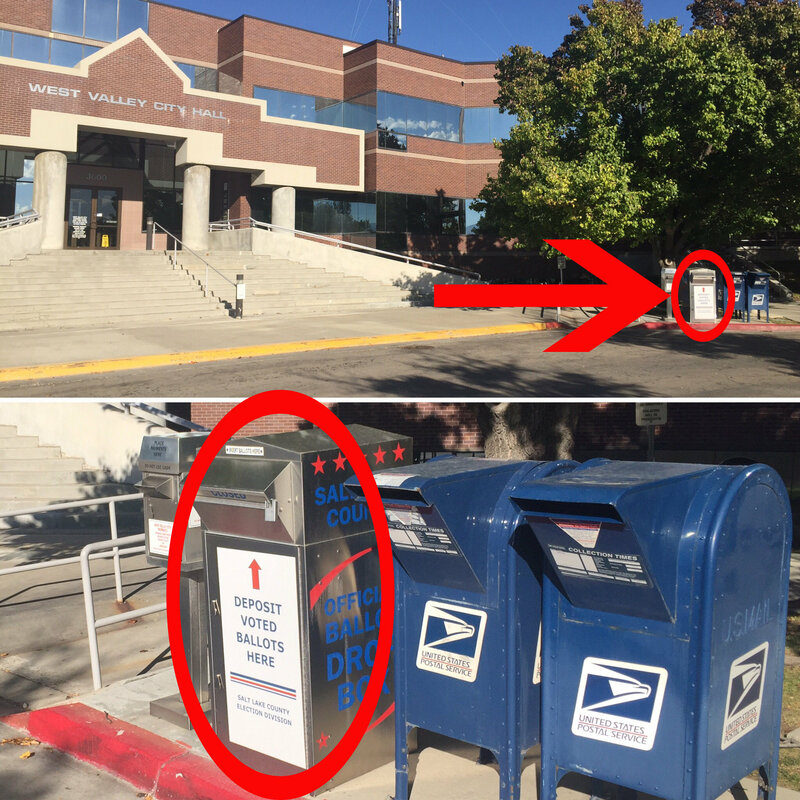 Closest ballot dropoff box is outside West Valley City Hall and is available 24/7. Here's a photo of the box near City Hall where you can drop it off. Option 3: Vote in Person. Early voting will take place at West Valley City Hall on weekdays from Oct. 31 - Nov. 5, from 10:00 a.m. - 3:00 p.m. Election Day voting will occur on November 6 at West Valley City Hall from 7:00 a.m. to 8:00 p.m. 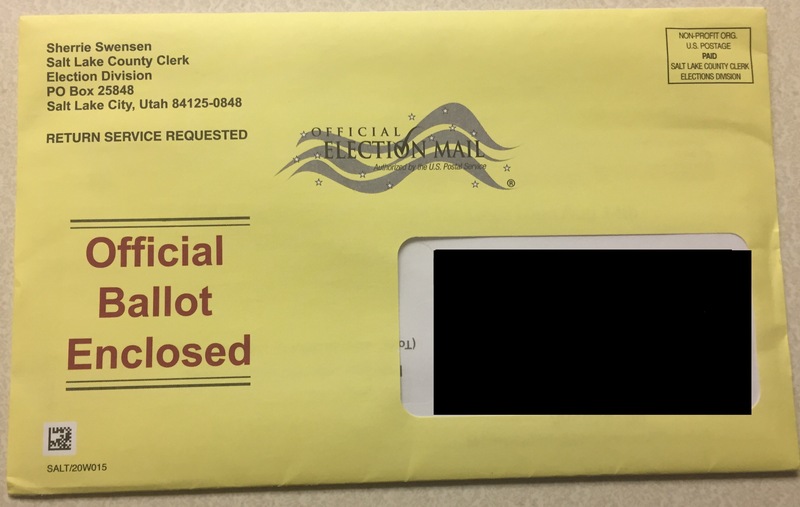 If you don't receive your ballot in the mail in the next week or so, call the Salt Lake County Elections office at 385-GOT-VOTE (385-468-8683). Teachers Formally Endorse Rep. Craig Hall! Nothing means more to my wife and I than making sure our kids, and our neighbors' children, receive the best quality education. 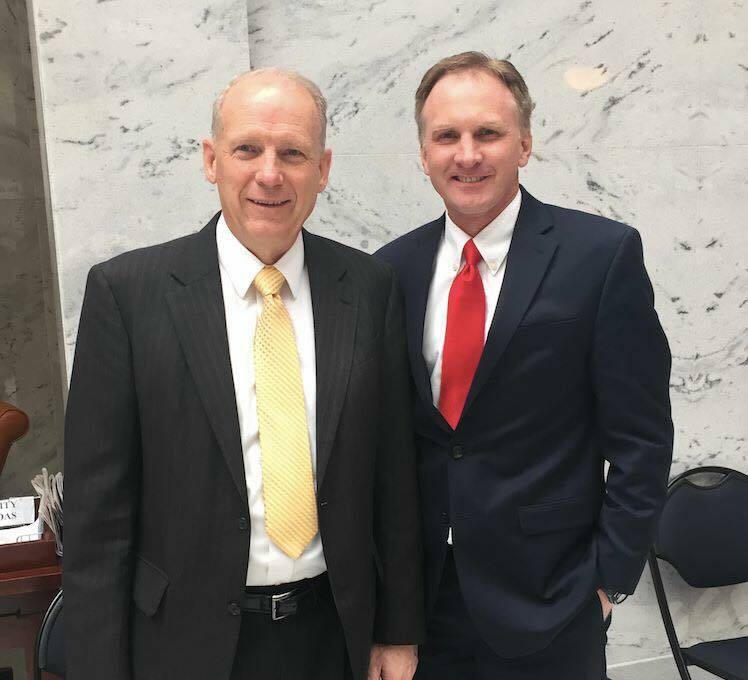 For that reason I have worked tirelessly as your Representative to listen to teachers, vote for bills that improve our schools, and do everything I can to help. Fortunately, teachers have taken notice. 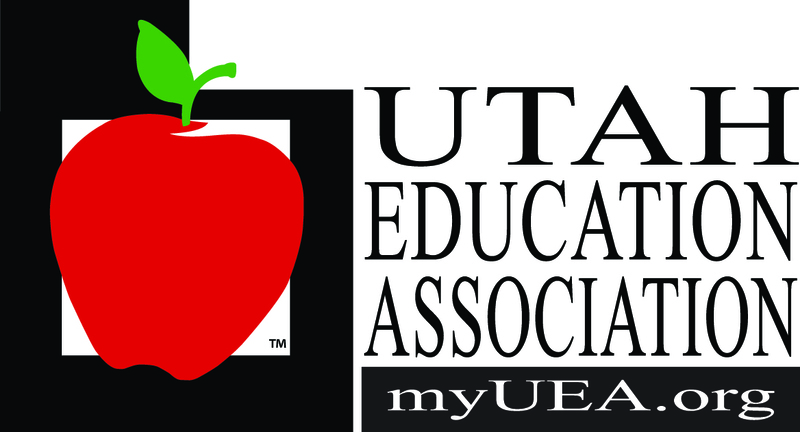 Accordingly, after evaluating the two candidates in this race, I have received the formal endorsement of the largest teacher association in the State. Thank you for your hard work and your support! Endorsement from West Valley Mayor Ron Bigelow! 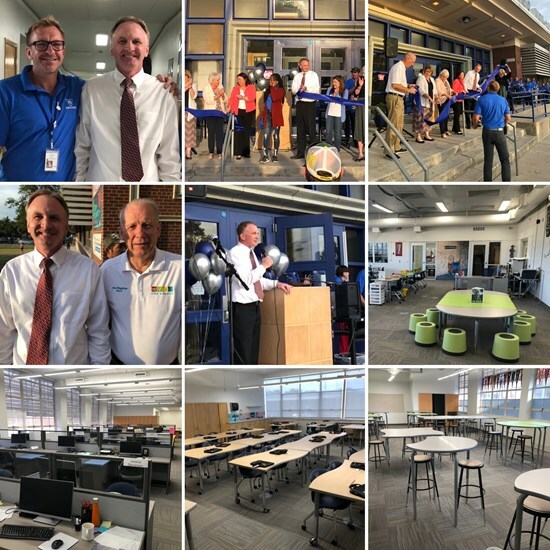 Latest News - Ribbon Cutting at Valley Junior High! Ribbon cutting at Valley Junior High a couple weeks ago! So great to see and visit with so many friends and neighbors. The changes underway at Valley are phenomenal. It is, and will continue to be, a wonderful community resource. Thanks to the administration and the teachers for all your great work. Go Ligers!